Diary Cape Town has one of the most stunning settings of any city by the sea. When I win the lottery I’ll have a house in Bath, Rio and Cape Town. It has an atmosphere unlike any other city I’ve been to in South Africa. You even see mixed couples holding hands! 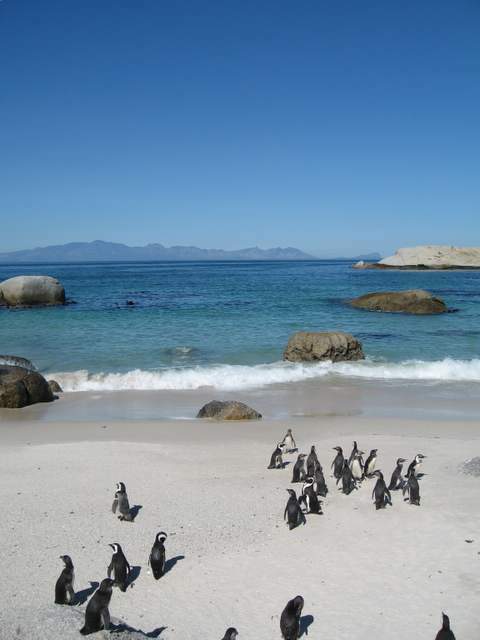 We’ve done all the touristy things and even seen some African penguins. “Penguin” is one of only three Welsh words in English (French 20000+, German 20000+), meaning “head white” although if someone called me a white head I’d be a little pissed off, no wonder they’re vicious brutes, quite capable of devouring surfers whole or am I confusing them with great white sharks? PIC SHOWS: Vicious great white sharks even roam up the beaches.